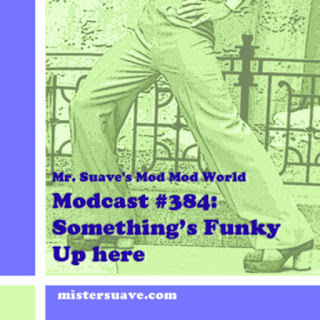 On this week's modcast I'm bringing you some wonderful music from that decade of decades, the 1960s. The sixties got stuck in my craw early on, when I was just a young'un. For some reason from a very early age I just really liked all sorts of sixties stuff -- movies, tv, music, fashion. It was only natural that when I got to be a teen that I would get sucked into the mod scene with it's love of all things sixties. Recently I was talking to a friend about Mad Men about how many changes the decade went through. 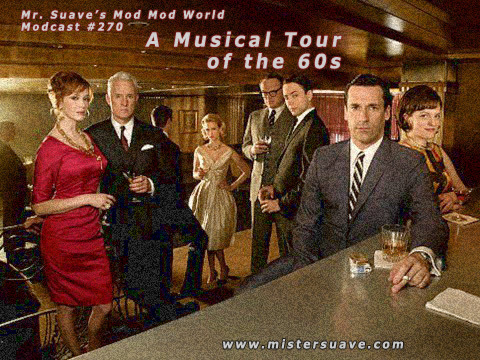 Thanks to watching Mad Men we realized how everything duuring the sixties seemed to radically change every few years. Just look at the difference between music in 1960 and music in 1970. So this week I'm taking you on a year by year trip through the decade highlighting some great songs, one per year, with a few bonus songs to wrap up the hour.